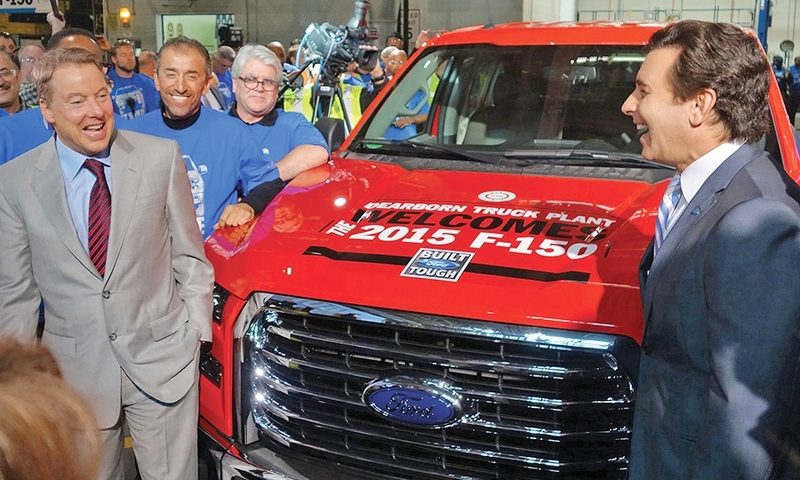 Ford Motor Co.'s conversion of its 2.6-million-square-foot Dearborn truck plant to build the aluminum-body 2015 F-150 pickup has altered the look of the assembly plant, body shop and adjoining stamping operations. Executive Chairman Bill Ford, left, and CEO Mark Fields, second from right, celebrate Job One with workers at the Dearborn plant. 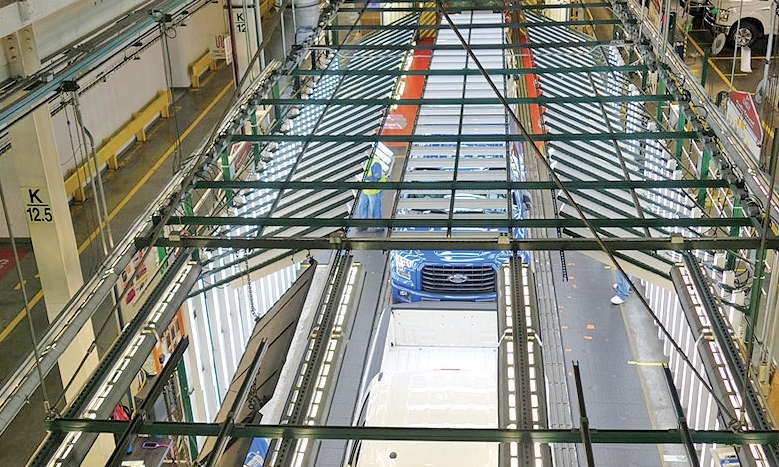 Finished F-150s are inspected for blemishes under high-intensity lighting as they roll off the assembly line. 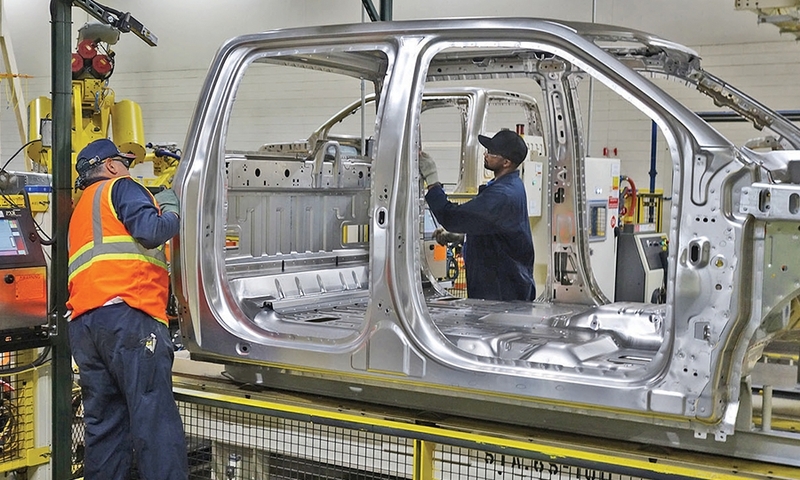 Workers inspect riveted aluminum bodies on the 2015 F-150. 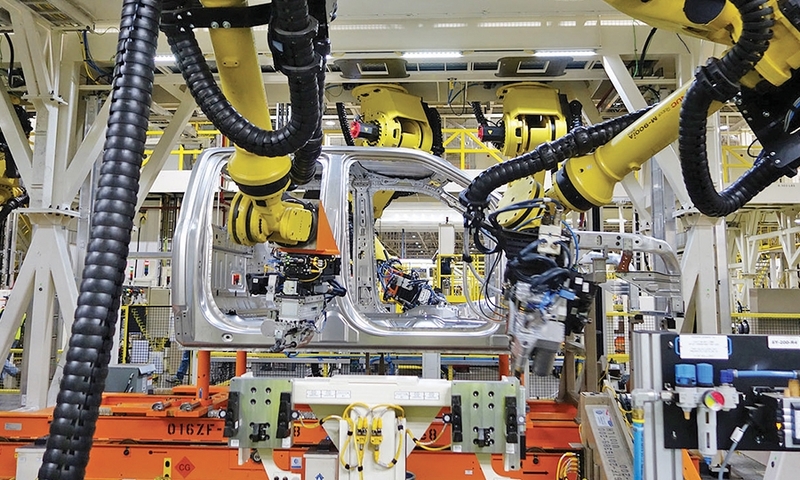 Robots hanging from huge rails overhead install rivets to join aluminum body panels for the 2015 F-150. The new robots, mostly from Fanuc America Corp., are much smaller and lighter than the floor-mounted machines they replaced. 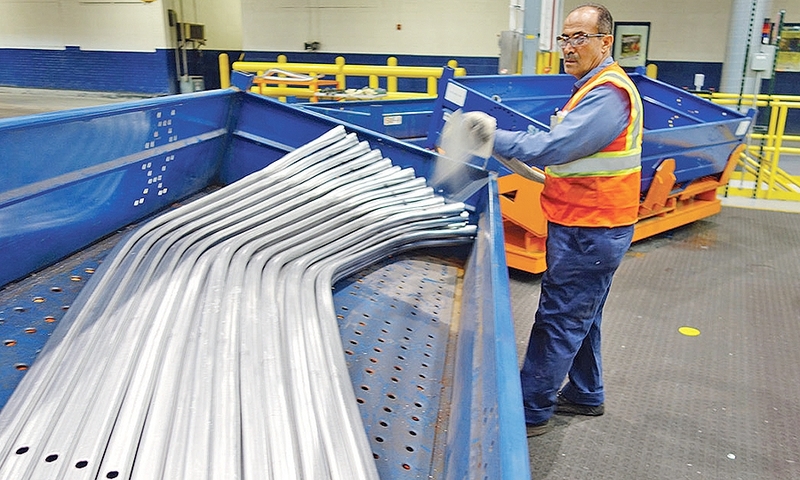 A worker loads newly hydroformed aluminum frame rails into a bin. Ford makes the frame rails and other parts using a high-pressure water metal-shaping system. The frame rails are light enough to lift with one hand. 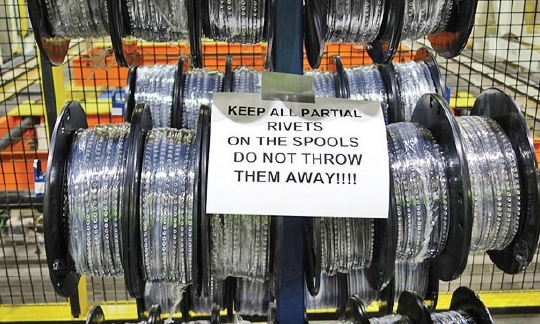 Spools of self-piercing rivets wait to be collected by robots for loading into rivet guns. 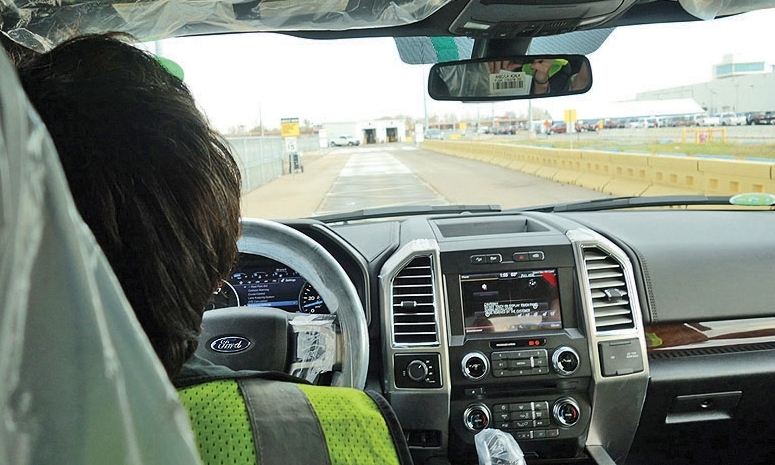 Glenda White, a 35-year Ford employee, drives a finished 2015 F-150 on a rough road outside the plant to test for squeaks and rattles.